Innovation and technology policies are increasingly focusing on so-called ‘grand challenges’ such as climate change mitigation or energy security. 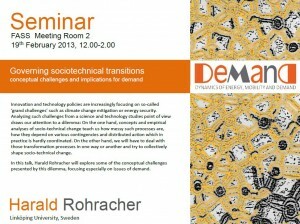 Analysing such challenges from a science and technology studies point of view draws our attention to a dilemma: On the one hand, concepts and empirical analyses of socio-technical change teach us how messy such processes are, how they depend on various contingencies and distributed action which in practice is hardly coordinated. 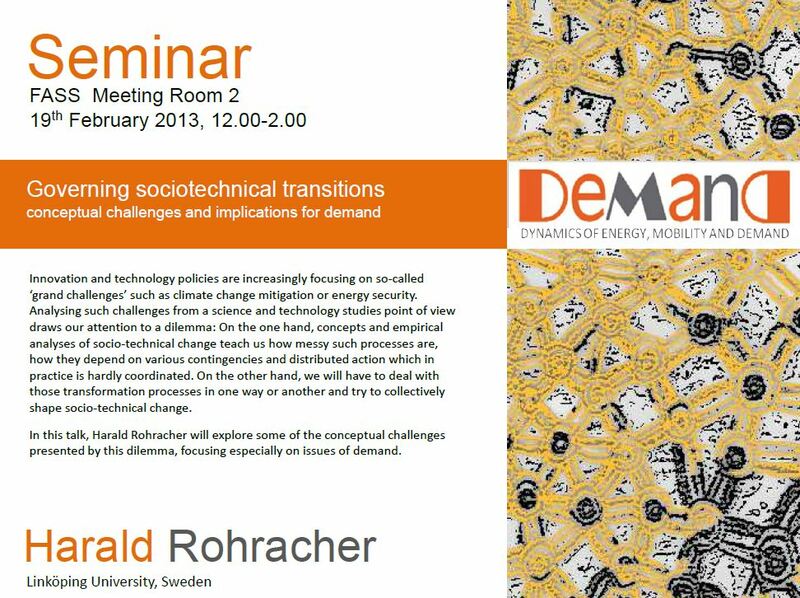 On the other hand, we will have to deal with those transformation processes in one way or another and try to collectively shape socio-technical change. This entry was posted in Seminars and tagged seminars, visitors. Bookmark the permalink.